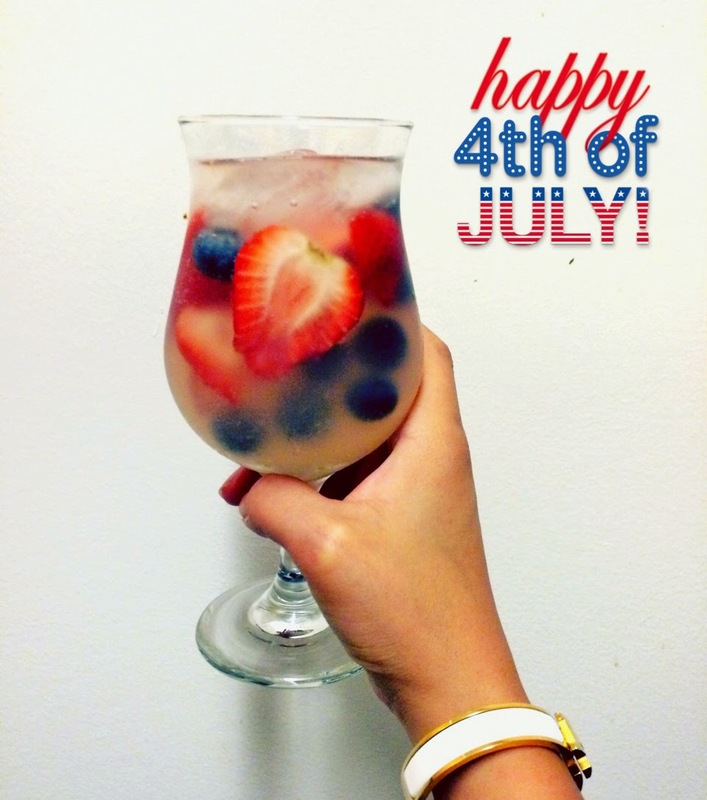 Blueberry Lemonade, Perfect for 4th of July! 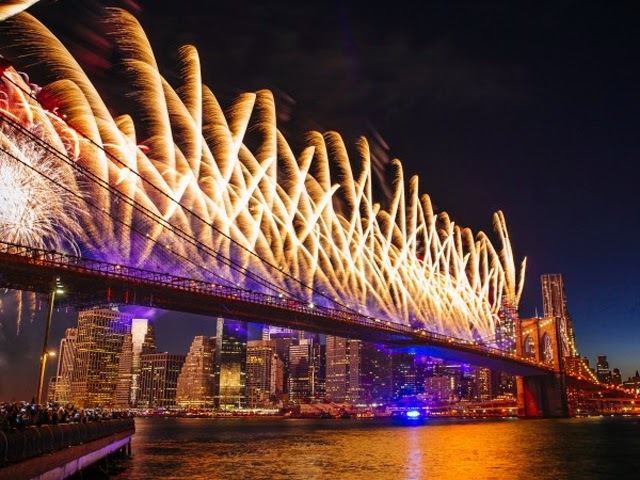 Happy 4th of July weekend! Hope you've been enjoying your long weekend with friends, family & fun! I absolutely love the 4th of July. One of my favorite things about this summer holiday is that it's the perfect excuse to throw a BBQ. Sadly, living in Manhattan means that throwing a BBQ is nearly impossible due to not having access to private outdoor spaces. To celebrate this year, I ended up watching fireworks from my friend Pat's apartment. 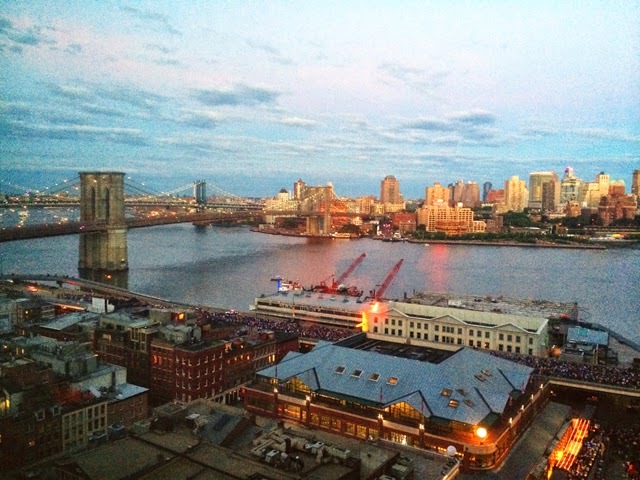 He lives in FiDi with great views of the East River & the Macy's fireworks show. 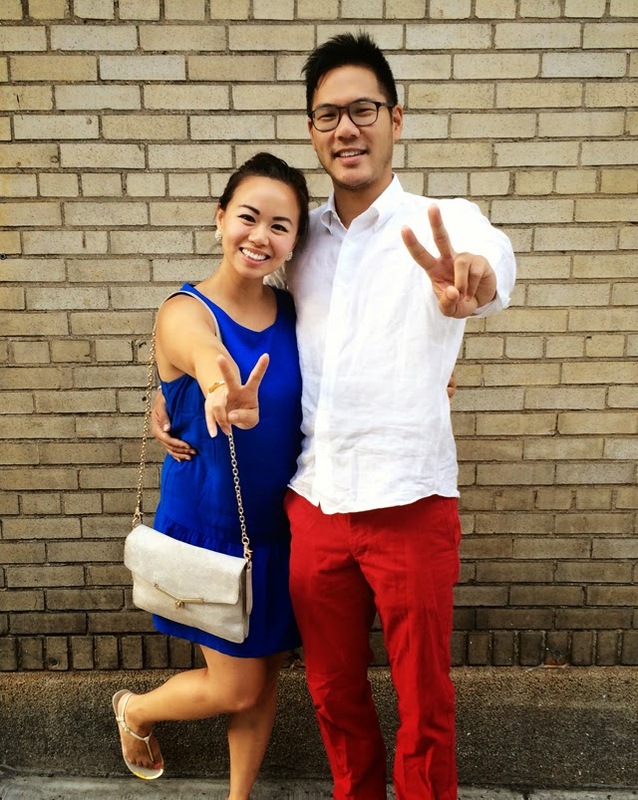 This year, I have been feeling extra patriotic due to the World Cup - it seems like I was seeing the American flag everywhere and everyone has been wearing their share of red white and blue. So as I tried to figure out something patriotic to make, I turned to Pinterest for inspiration (hint: lots of images of blueberry and strawberries). Since I was in charge of the BYOB portion of the apartment party, I had to brainstorm. I remembered a drink I had last summer at the rooftop at the Standard Hotel - I overheard a girl ordering Blueberry Stoli with Lemonade so I copied her and ordered the same thing. I was instantly hooked. So it was a no brainer to add my pin-spiration and this memory together to bring you this visually stunning summery & patriotic drink. This turned out fantastic. It was a big hit at the party, everyone wanted a glass and raved about how delish and pretty it was. Making the drink couldn't be easier, just be sure to prep the fruit ahead of time. 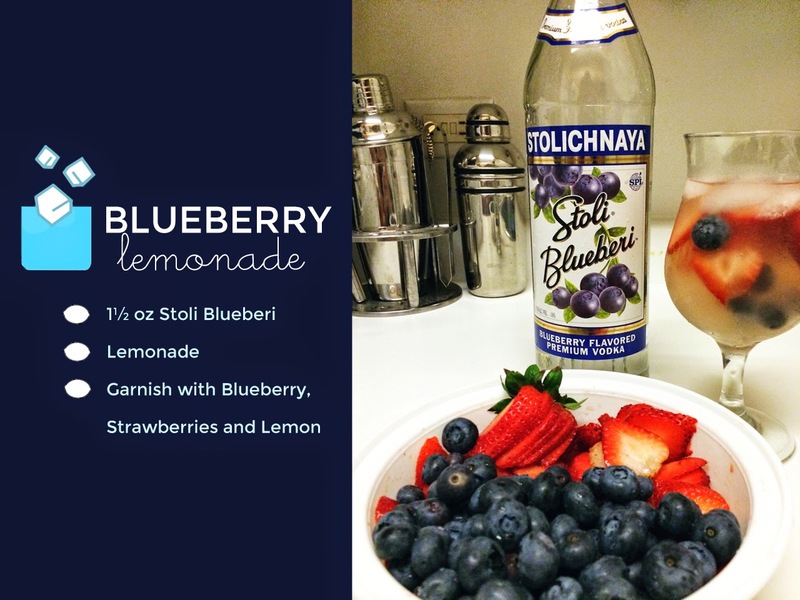 Pour the Stoli in a glass, add the fruit and ice, then top off with lemonade! To make the drink lighter, you can swap out half of the lemonade for lemon sparkling water to cut down some of the sugar. That's how I enjoyed my drink since I don't love sugary drinks. While it's not 4th of July anymore, hopefully you can file this one away for next year, or use for any summer parties you have coming up. This will definitely be my new staple 4th of July Drink, and I promise you won't be disappointed! I hope you had a great long weekend, and enjoy the last bit of your Sunday!